DECLAN GANLEY HAS confirmed he will be involved in campaigning before a referendum on the Fiscal Compact, but said he doesn’t yet know which side he will be on. The Libertas founder said he believes the treaty will not solve the debt crisis, and his decision will depend on whether the EU offers Ireland a “deal” for ratifying the agreement. He called on European leaders to write off some or all of Ireland’s debt for the bailed-out banks, as well as instituting reforms of EU institutions. “There is time for our partners in Europe to address the fact that we did bail out the banks,” Ganley told RTÉ Morning Ireland. They have time to give us a deal on the bank debt, and to address the democratic deficit at the heart of European insitutions, to give us a Europe that is governed by consent. He said he would campaign for a Yes vote in those circumstances, but otherwise would join the No campaign. “Anybody who thinks that this treaty is a cure for Europe’s ills is delusional,” he said. Ganley said he would have to “go out and start fundraising” to raise the money required to campaign on the referendum, which is expected in the first half of 2012. 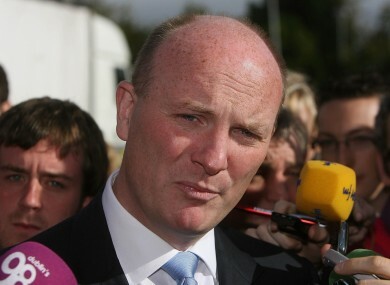 Email “Declan Ganley: I'll join either Yes or No campaign for referendum”. Feedback on “Declan Ganley: I'll join either Yes or No campaign for referendum”.